Can You Leave a 401(k) to Your Child with Special Needs? If you have just started a 401(k) or are doing retirement planning, your first impulse may be to leave your 401(k) money to your children. When one of your children has special needs, doing this is not a good plan. Your intentions are good, but there are better ways to benefit your child with the 401(k) money. Why Is Leaving Money to a Child Who Needs It a Problem? Most children with special needs receive some type of government benefits through Medicaid, Social Security, and other programs. They continue to use these benefits for the rest of their lives. Nearly all government benefits programs have income or assets eligibility requirements. This means that your child cannot have income, assets, or both that exceed a certain dollar amount. If they do, your child’s benefits will end. Why will the benefits end? Money placed in a 401(k) goes to the account beneficiaries when the account holder dies. 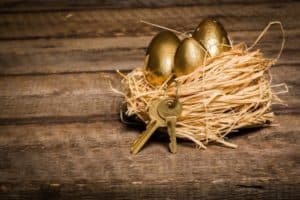 The 401(k) does not have to pass through probate court first (unless there are no beneficiaries or deceased beneficiaries named). The 401(k) account administrator will make out a check directly to your child. Soon after the 401(k) money hits his or her bank account, benefits will end because he or she has to regularly report income and assets to continue receiving benefits. This can lead to your child’s loss of vital medical services and inability to meet daily needs. Instead of leaving the 401(k) directly to your child with special needs, you should set up a type of trust called a special needs trust (SNT). When you leave money to a third-party special needs trust that has your child listed as the trust beneficiary, it does not count toward your child’s income or assets for benefits eligibility. Your child and his or her caregivers can still use money from the trust to pay for needs. In fact, an SNT to which you leave some of your assets is a great tool for ensuring your child is provided for when you are gone. You may be able to pay for daily expenses for your child during your lifetime, but you also need to think about what happens when you are not around anymore. Your child may outlive you and will continue to need support. By placing some money in trust during your lifetime and/or leaving an inheritance to the SNT, you can protect your child long into the future. In doing so you should be aware of special tax laws regarding how much of the money inherited by the SNT is taxed each year that are dependent upon the language of the SNT itself. Therefore, it is important to engage an experienced special needs planning attorney to draft your SNT.